Are you the type of person that wonders what your pets do when you’re not home? Colby and the kids are definitely that type. So much so that we have a camera set on the pets when we leave and Colby pulls up the feed several times while we’re out. But, the last time we left our three dogs with a camera they actually knocked it over and turned it around. I wonder what they did while we couldn’t see them? From the humans behind Despicable Me, The Secret Life of Pets is a comedy about the lives our pets lead after we leave the house each day. The new release features nearly an hour of bonus content, including three hilarious mini-movies: the all-new Norman Television and Weenie PLUS Mower Minions which debuted in theaters. Not to mention, the all-star voice cast includes Louis C.K., Eric Stonestreet, Kevin Hart, Jenny Slate, Ellie Kemper, Lake Bell, Dana Carvey, Hannibal Buress, Bobby Moynihan, Steve Coogan and Albert Brooks. 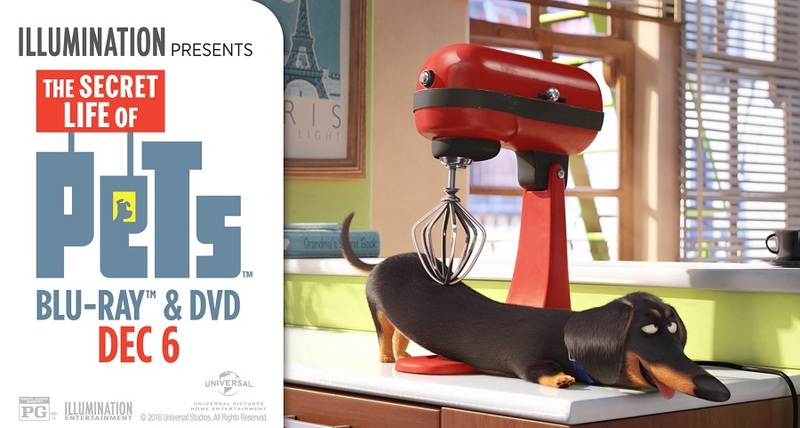 And available now, The Secret Life of Pets with 3 Mini Movies is on Blu-ray & DVD for you to own! We received the Blu-ray/DVD Combo Pack Target Exclusive featuring 4 pages of decals. The combo pack comes with the Blu-ray, DVD, and a Digital copy. Plus, you can decorate your room, car, office, laptop, or wall with 4 pages of decals featuring main characters and their funny personalities. 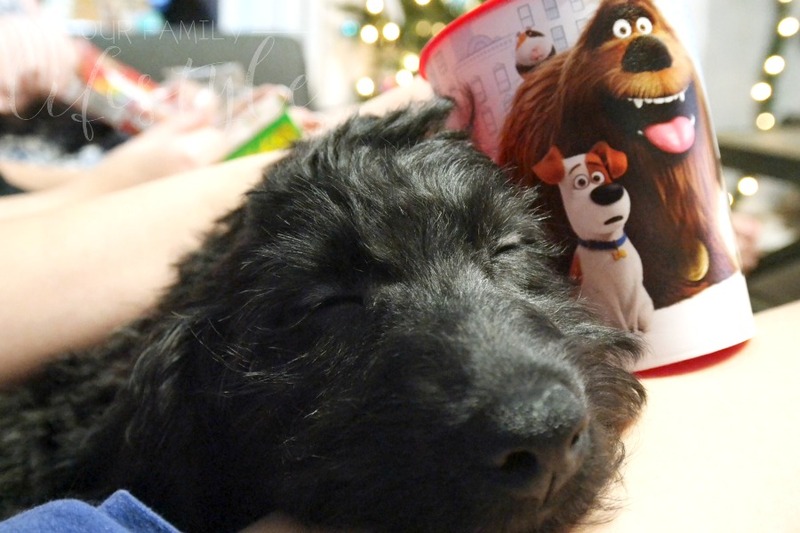 It’s a great holiday gift idea — and perfect for family movie night! And that’s exactly what we decided to do with it! We gathered the girls and our newest family member —Cole— to enjoy a night watching The Secret Life of Pets. I think he enjoyed it as much as the girls did! 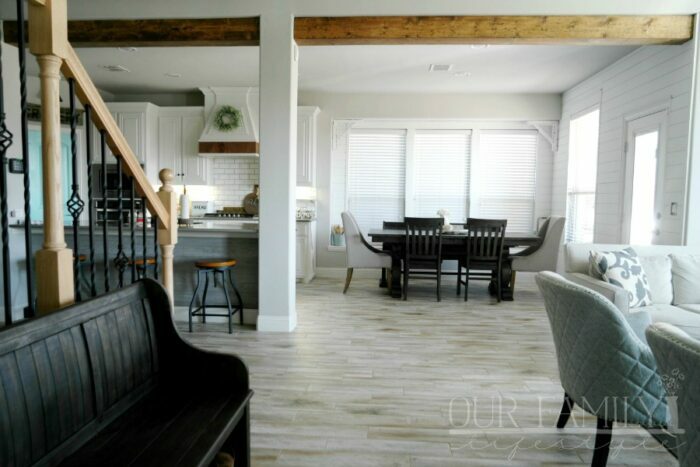 GiGi was already a family favorite, and Cole seemed to agree… when he wasn’t sleeping that is! Of course, no movie night is complete without snacks! There was no shortage of food for the humans, as well as the pets! We grabbed a few holiday cookies for the dogs while at the pet store and then could enjoy our movie-themed snacks without the dogs staring at us! Movie-sized boxes of candy, fetch sticks (pretzels), Puppy Chow (Muddy Buddies) and White Chocolate Movie Popcorn made the night even better! From each Mini-Movie to the last credit of The Secret Life of Pets, we simply enjoyed the time together and the laughs we shared! Want to make your own White Chocolate Popcorn? 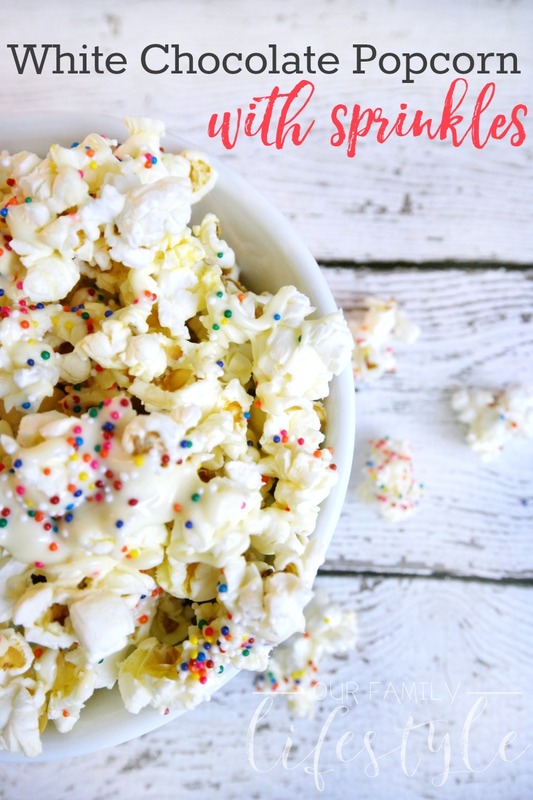 If you want something beyond plain ol’ popcorn, White Chocolate Popcorn with Sprinkles is the perfect treat for last-minute movie watching parties! It takes under 5 minutes and you’re ready to start the film in no time! Simply pop your popcorn, then melt your white chocolate choice (we used white chocolate squares) per packaging instructions. Next, pour the melted chocolate over the popcorn and gently toss/mix to cover the popcorn. Be careful not to pour too much or your popcorn may get a little mushy. 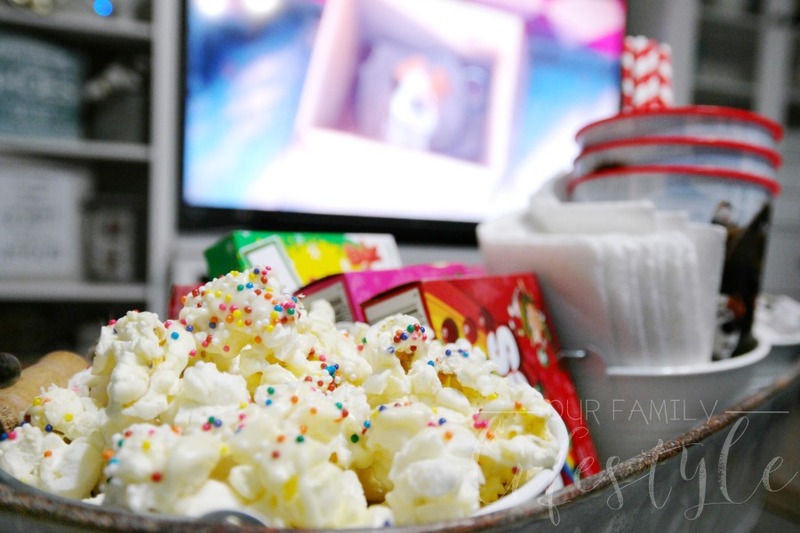 Finally, pour the popcorn onto a baking sheet and add your choice of sprinkles or other ingredient. Chill in the refrigerator to harden chocolate, then enjoy! 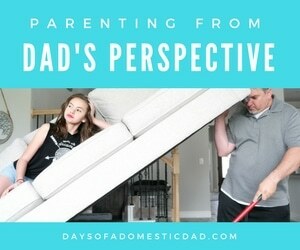 Disclosure: This post is in partnership with Universal Pictures Home Entertainment.